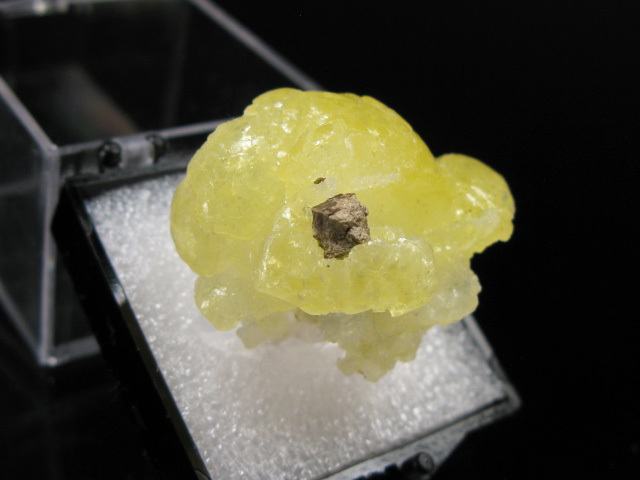 A cabinet sized prhnite plate from southwestern China, pretty good on its own as an example of Chinese prehnite, but also a decent example of the rare calcium, iron bearing silicate babingtonite. 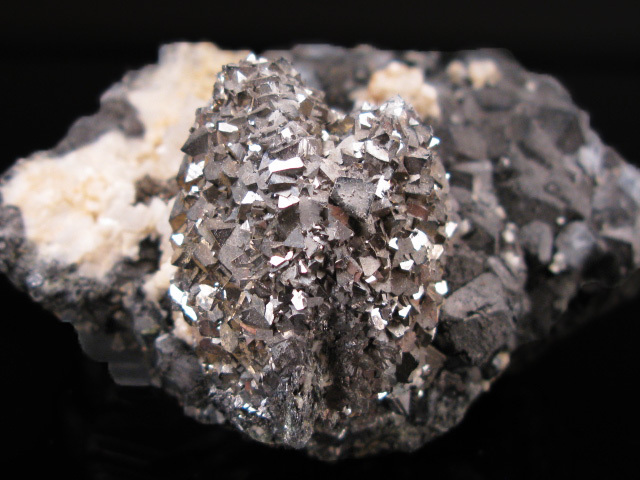 The front of the specimen has a few lustrous, well formed crystals that add a nice bit of contrast, but the back and sides are covered with small crystals as well-- the largest just over a centimeter. 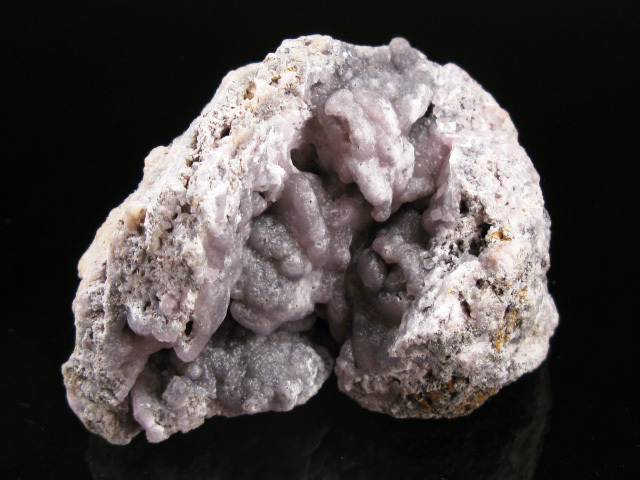 A beautiful example of barite on a a matrix covred with calcite rhombs, from the Linwood Mine, located near the border between Iowa and Illinois. 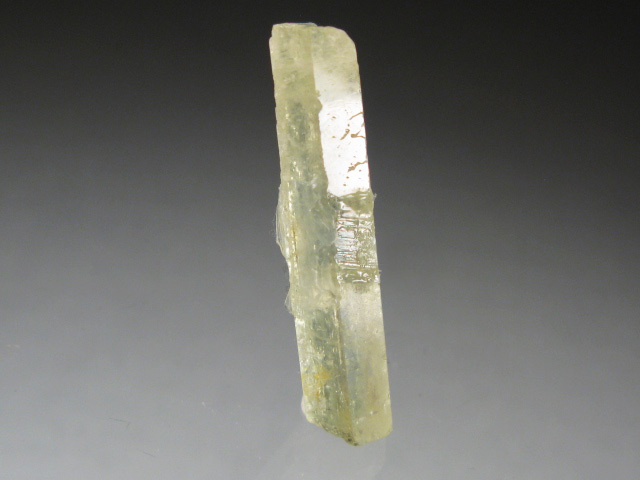 This piece has a nice, gemmy yellow crystal nicely perched on the upper corner of the specimen, and unlike many of the early pieces, it doesn't have the silt inclusions that give it an unsightly gray color. 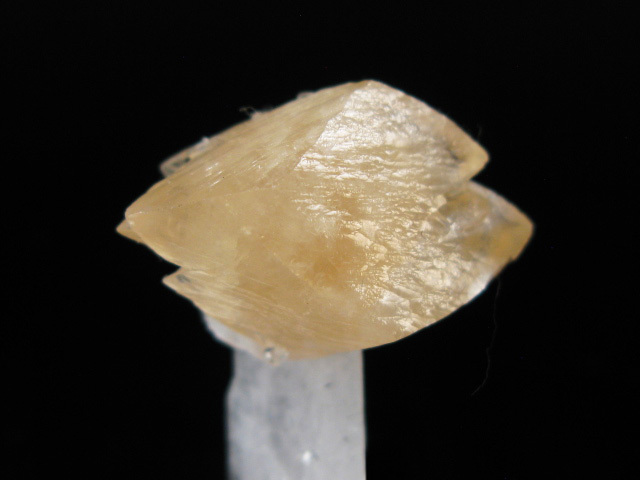 There is some chipping on the edge of the barite, but it displays exactly as shown. A nice example of doubly terminated green quartz crystals on matrix. 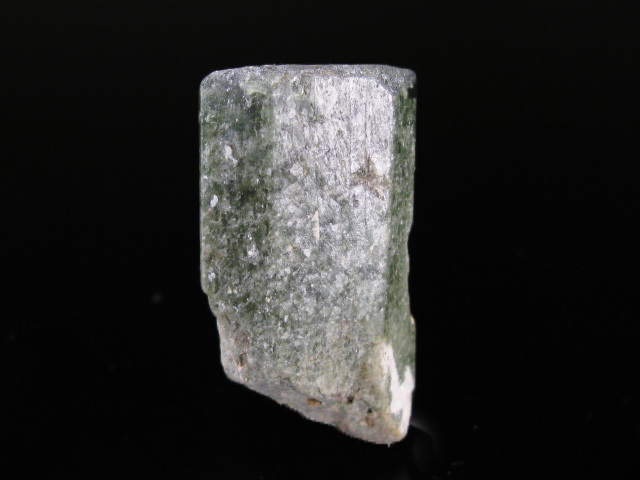 You often see small loose examples of these stacked, green Cumberland habit quartz crystals, but rarely examples on matrix. This is a good reference of the material from this mine. 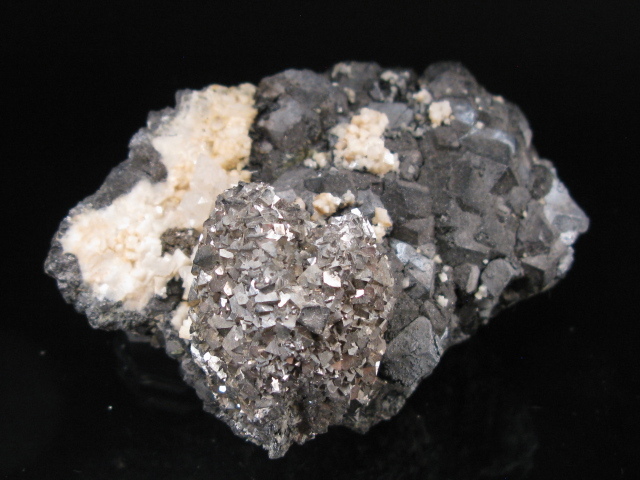 A large and impressive example of white tincalconite after borax. This one appears to have been stabilized before it lost its sharpness, as the unstabilizd pseudomorphs tend to be somewhat powdery and come apart easily. 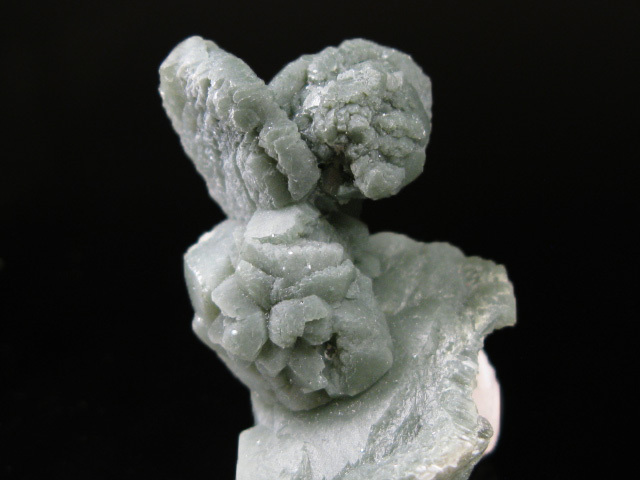 A nice example of very green cuproadamaite from Mina Ojuela; these are somewhat rarer than the yellow adamites from the mine, and tend to turn up every few years at best. This is a very good reference. 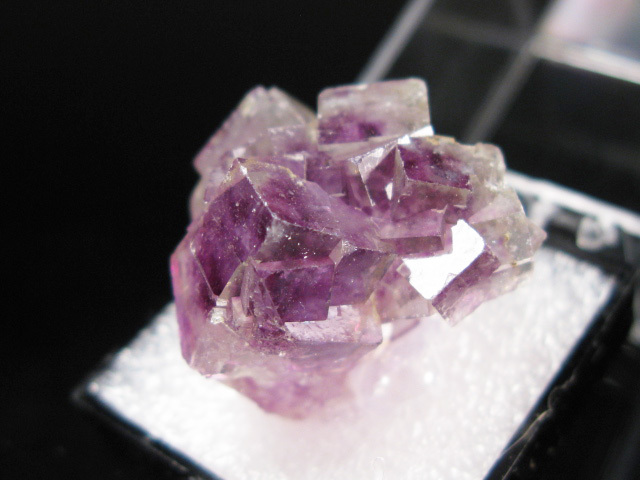 A nice, terminated, thumbnail sized example of Tanzanite from Merelani. Good for the price! 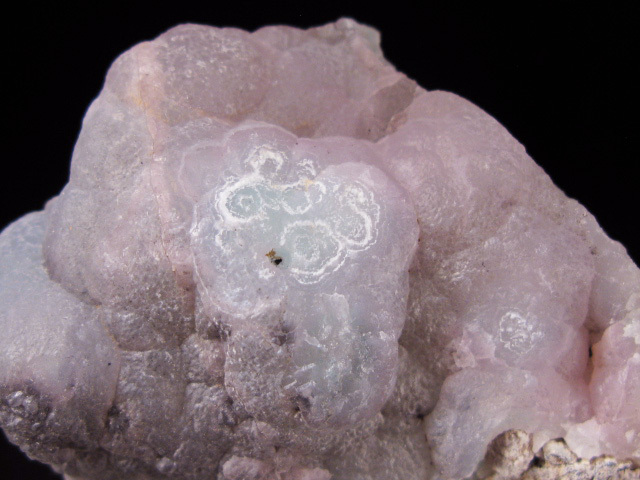 A nice example of botryoidal smithsonite from Sinaloa, Mexico. These used to be quite common, but production stopped several years ago and there has been no new material since. 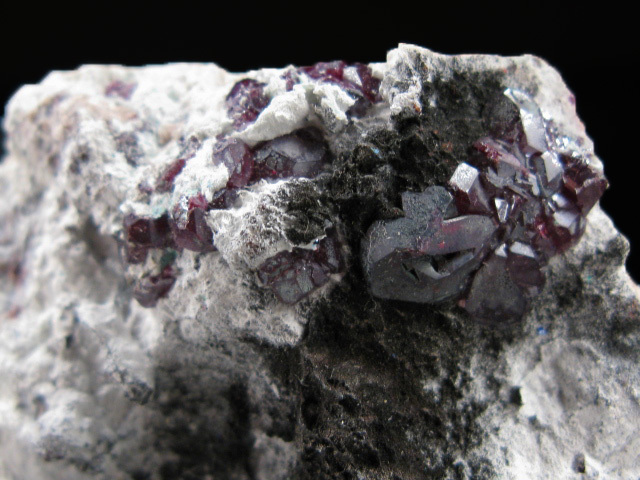 This is a nice example, with a rich coating of the mineral in a vug. 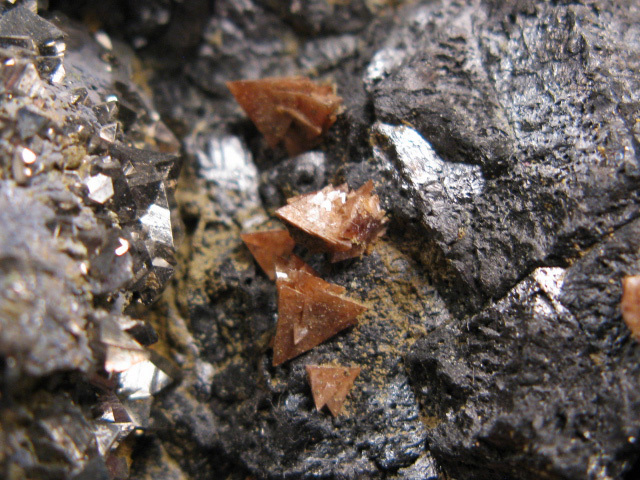 A nice example of pointed orange wulfenite crystals with olive green mimetite, from recent finds at Mina Ojuela. Very rich, and quite a good price for the size! 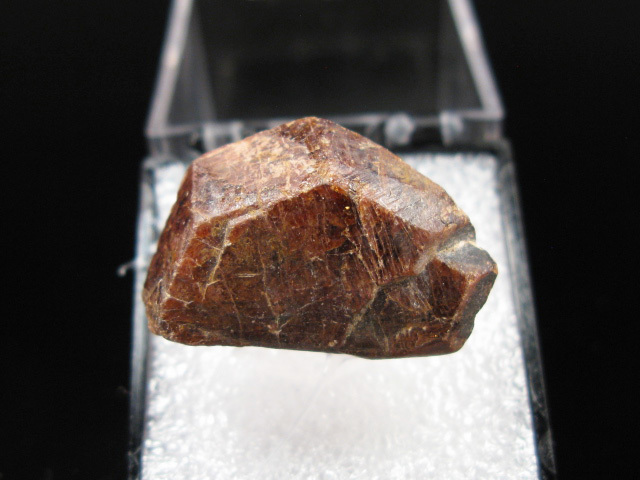 A very nice example of creedite from China, these are considerably harder to find than the orange Mexican examples. 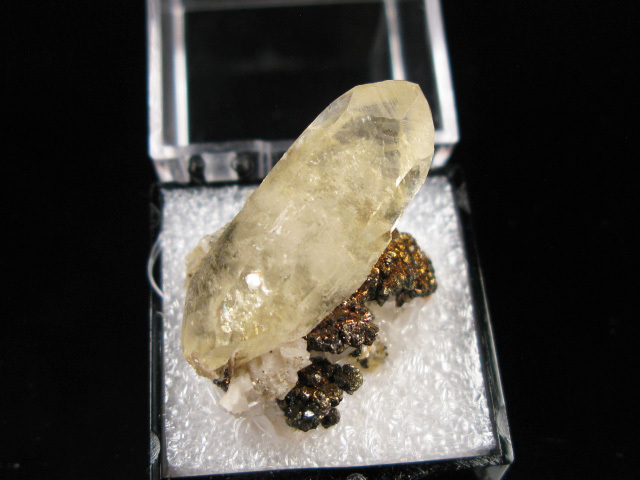 This piece features two radiating clusters, nicely positioned on matrix. From the recent find. 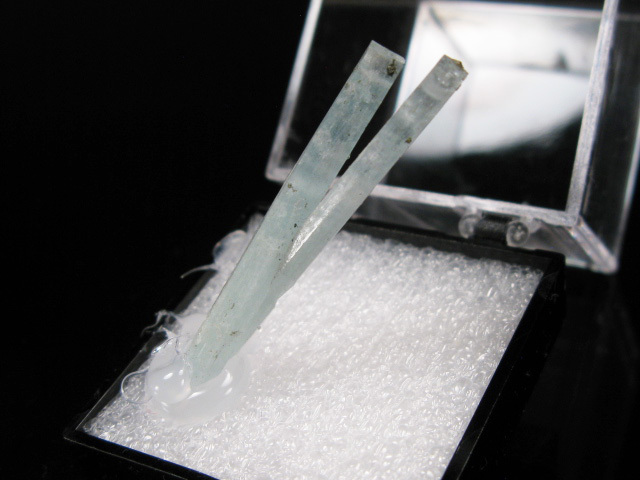 A nice example of aquamarine from Huanggang. 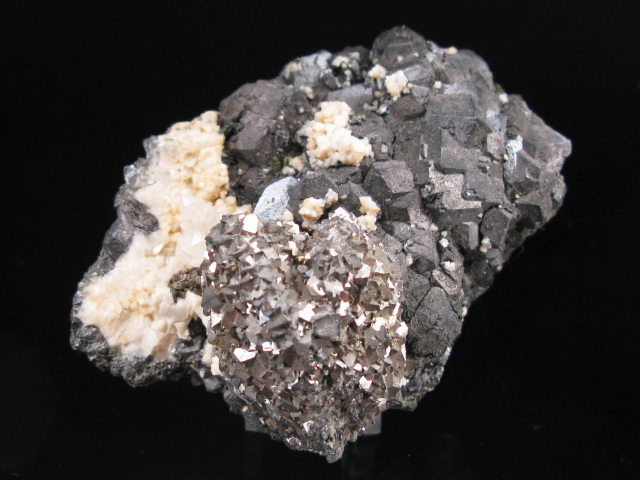 Although the workings primarily exploit a skarn, one of the mines in the cluster cut through a narrow pegmatite. 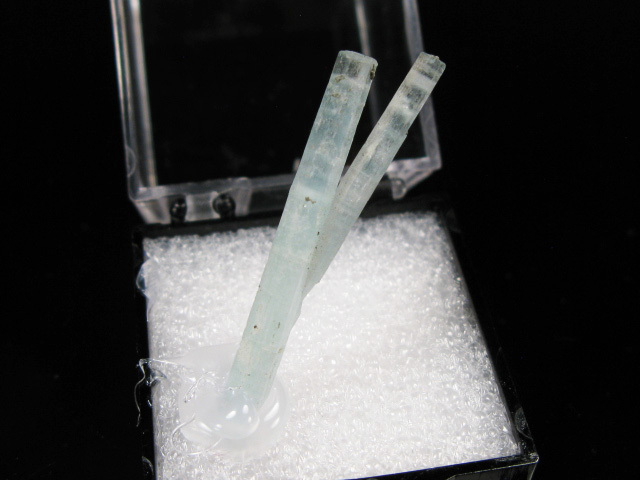 These aquamarines were discovered there around 8 years ago, and were one of the interesting surprises from the locality. This is a great reference-- and the crystal is terminated. 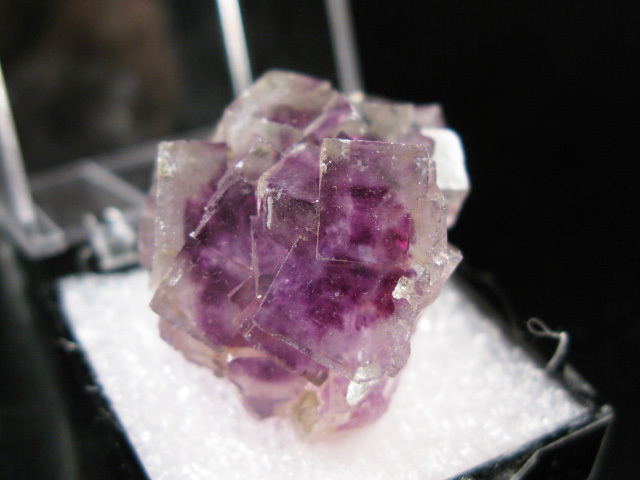 A beautiful amethyst scepter from Madagascar, the general appearance is a bit odd because these typically tend to have the amethystine portion confined to the termination-- this piece has consistent color throughout the crystal. 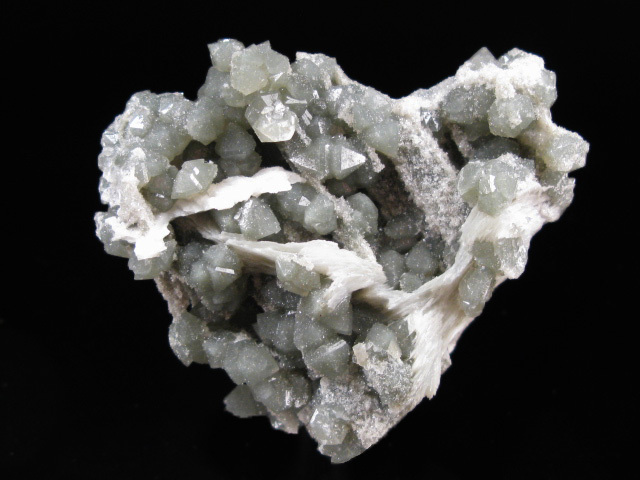 Quite beautiful, and it has minute flecks of another included mineral that add or the appearance. 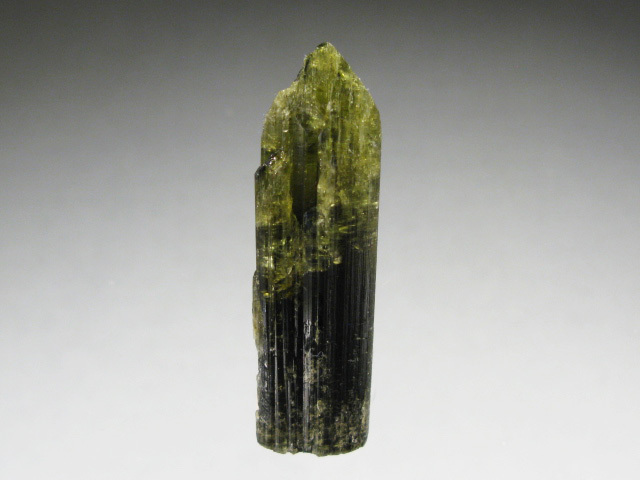 A sizable, well formed dravite tourmaline from recent finds in Tanzania. This piece is a bit dark, but with strong lighting the green color becomes more apparent (as in the pictures.) 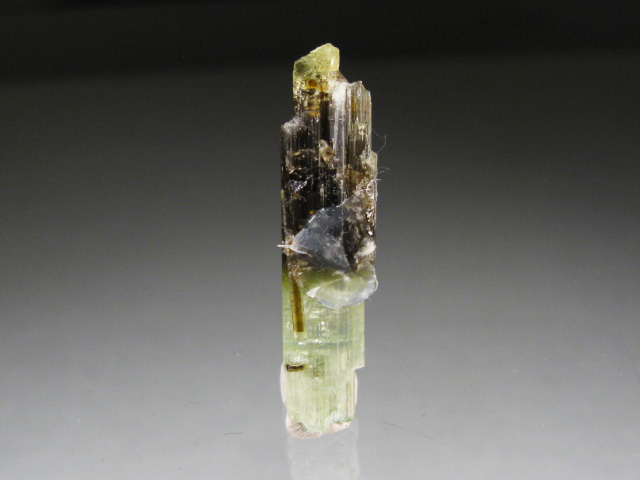 In recent years, Tanzania has been the source of numerous tourmaline discoveries from new localities, this pieces comes from one such discovery made within the past year. 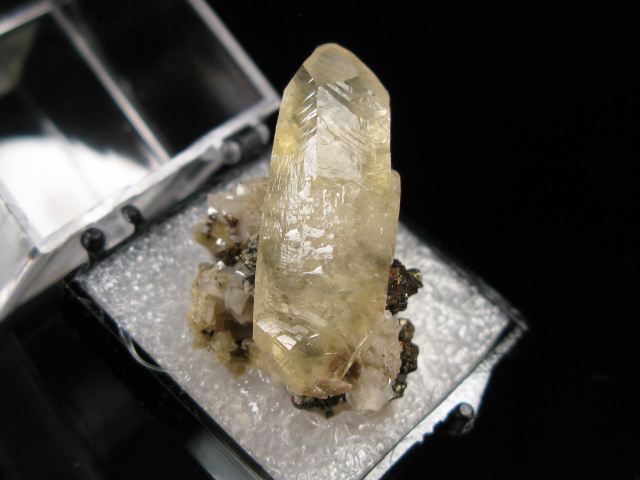 A very interesting beryl specimen, mostly yellow with a blue core. 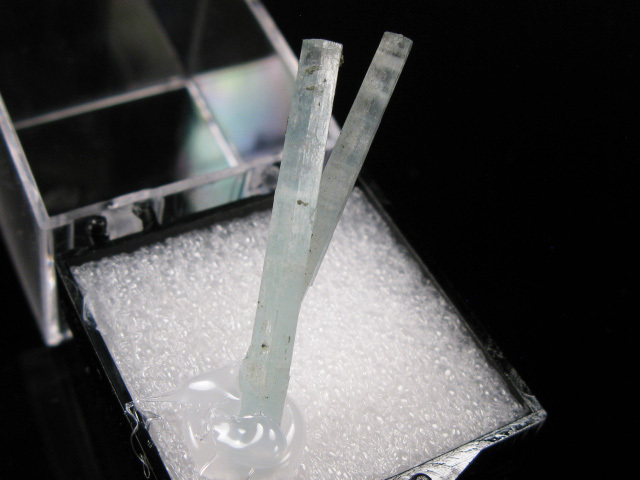 Actually, when you look closely near the base, it appears to be an aquamarine that a second, later generation of heliodor has grown around. 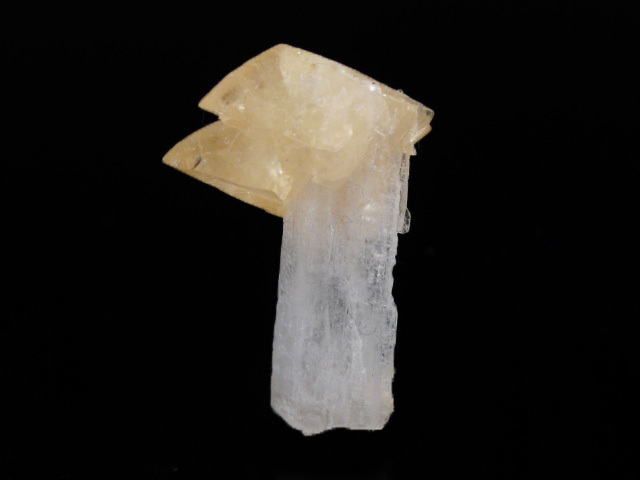 There is a small bit one one termination remaining, but it is mostly a crystal section Very interesting material, from a recent find at some remote digging site in Western Tanzania. 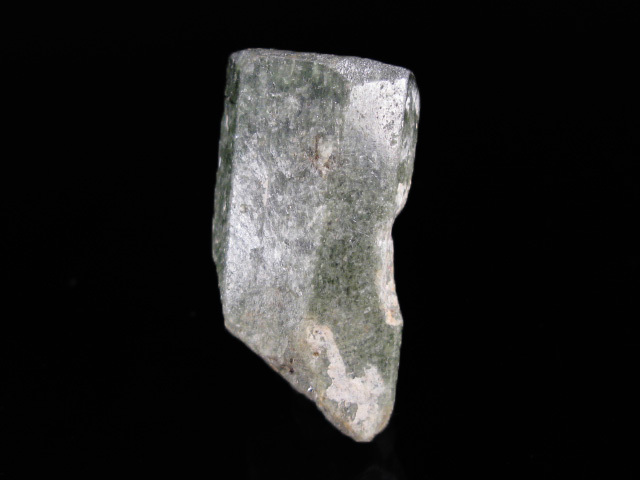 An excellent, well formed, doubly terminated ilvaite crystal from finds made several years back in Inner Mongolia. The examples from this mine redefined the standards for the species. This is a great reference piece, unusual among pieces form other locations for its double termination. A beautiful example of calcite delicately perched on the end of a celestite blade. A great example, though unfortunately not the most photogenic. 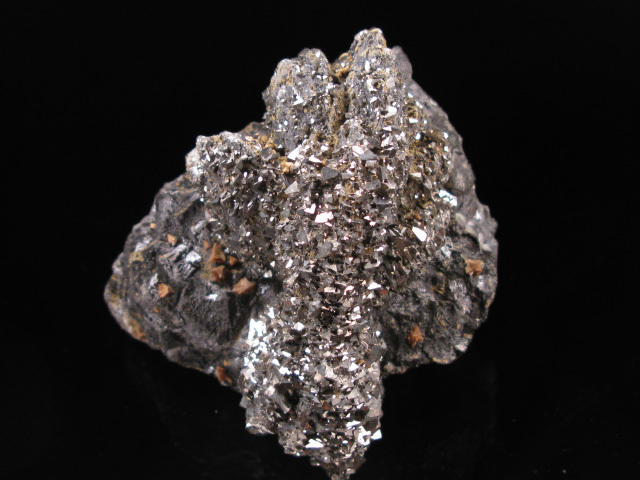 This piece consists of an great shaped cluster of lollingite sheaves, positioned front and center on a contrasting magnetite matrix. 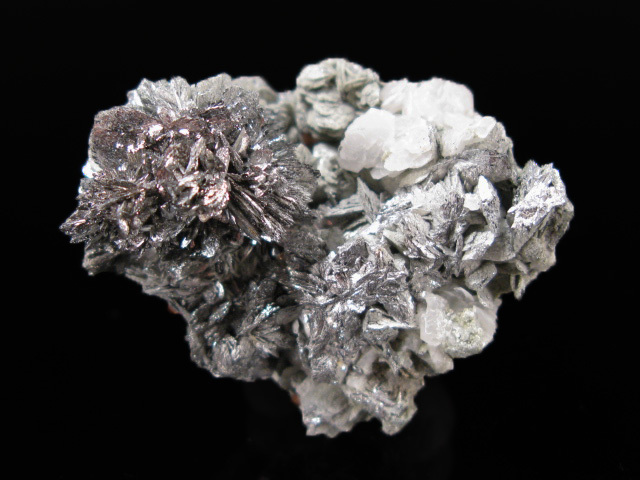 The lollingites are coated with hundreds of small arsenopyrite crystals- this adds greatly to its luster and visual impact in person, but unfortunately also makes it difficult to photograph, as does the three-dimensionality of the piece. 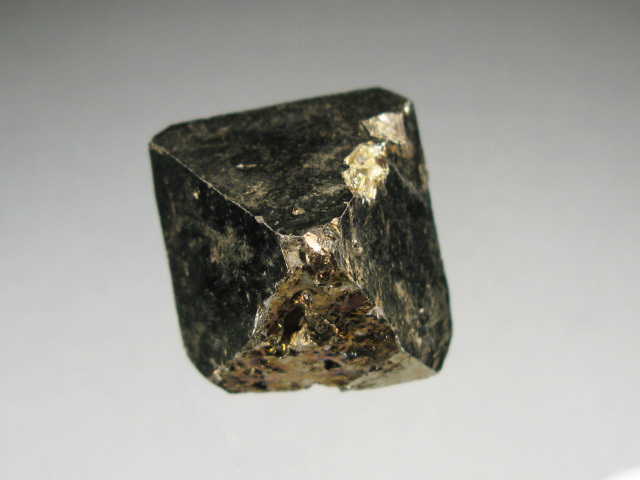 There are also some small brown genthelvite tetrahedrons scattered on the black magnetite matrix. 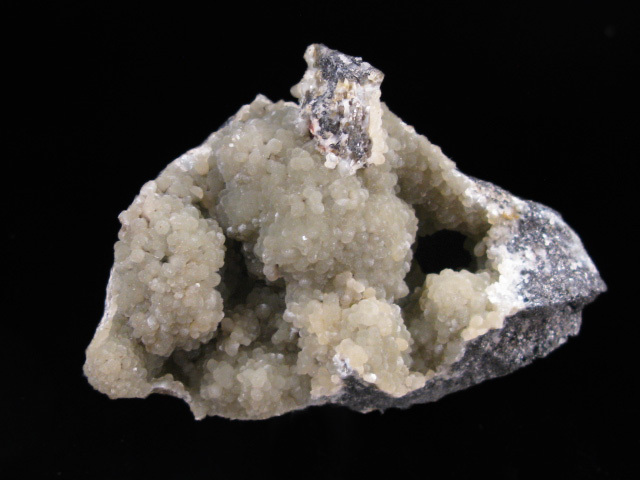 There is a bit of damage on the bottom of the lollingite cluster, but this doesn't show when it is positioned for display. Excellent for the price. Was $680 in my show stock. 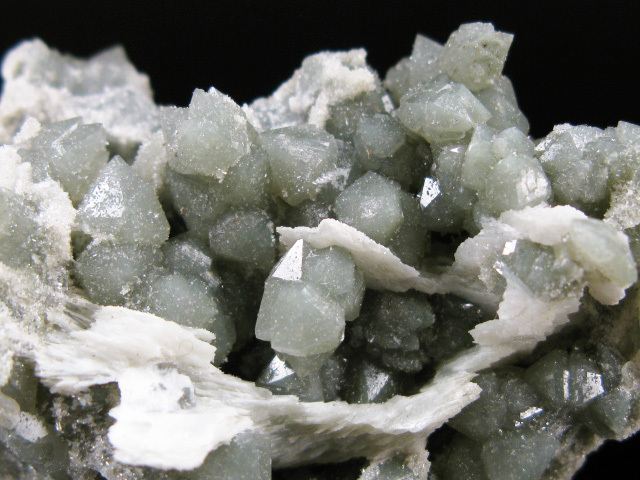 A nice example of calcite, turned green by minute hedenbergite inclusions. This piece is quite unusual and sculptural in appearance. 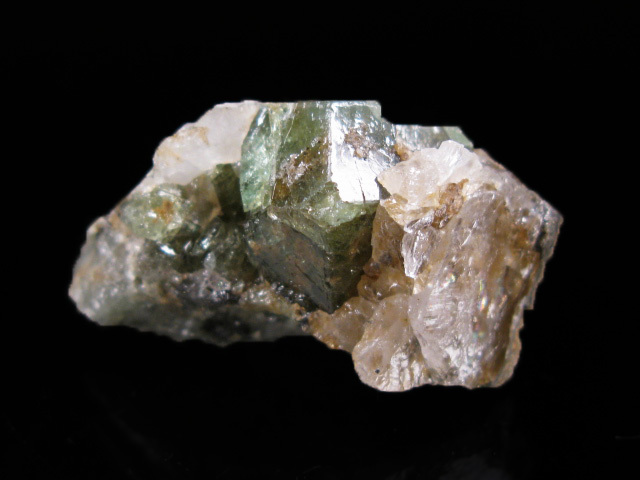 A very rare crystal section of grandidierite, a mineral that was pretty much unobtainable as anything with a crystal face before this find. This piece comes from a discovery made about 2 years ago, and already there aren't very many around these days. Very cheap for what it is! 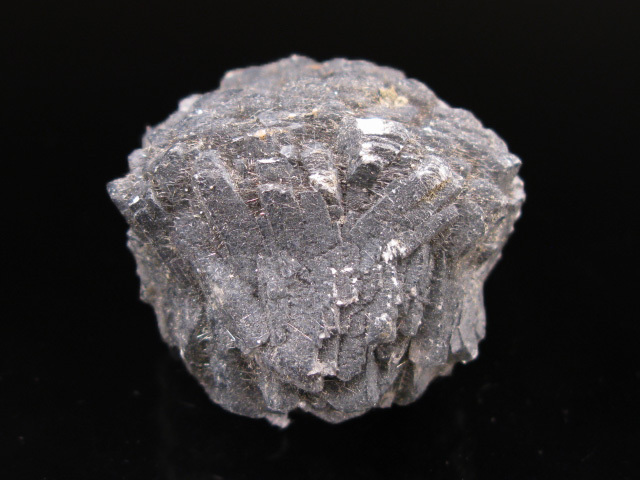 An excellent example of lollingite on magnetite. 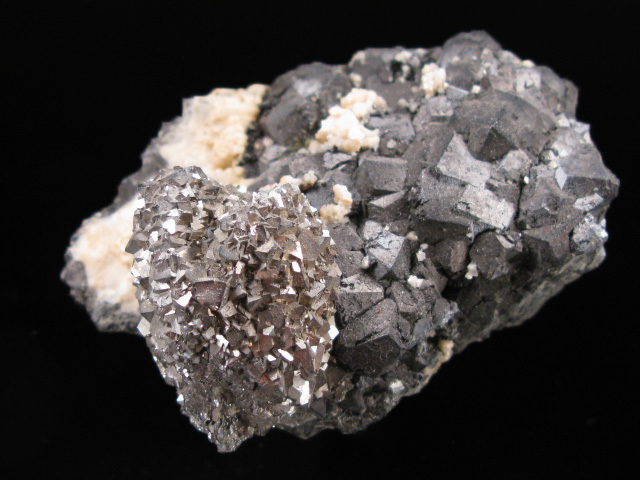 The lollingite crystals display the form typical of the species at this location, and are covered with lustrous arsenopyrite crystals. 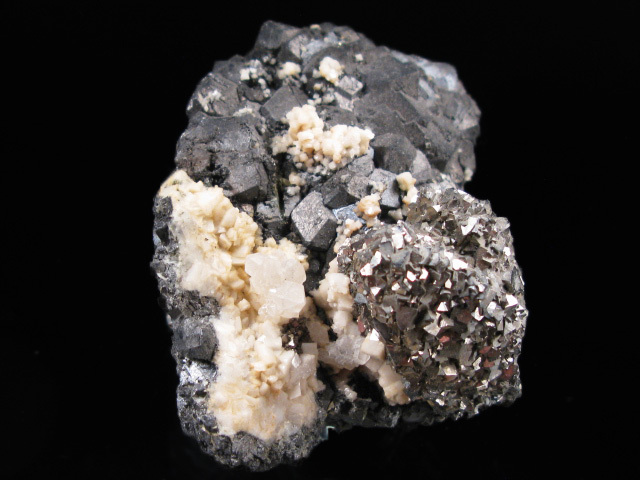 This cluster is perched on the edge of a plate of black dodecahedral magnetite. 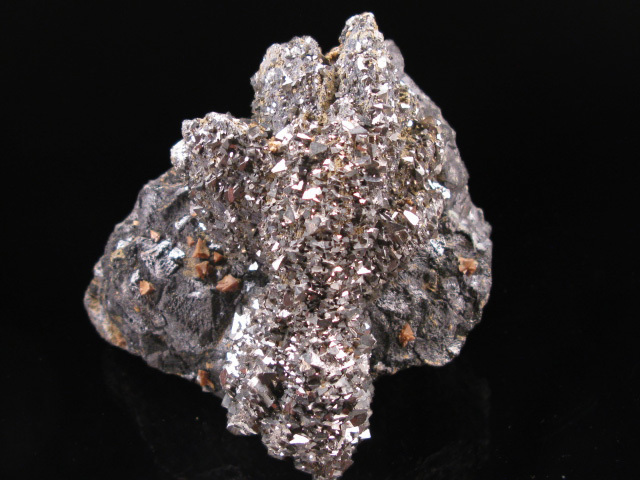 It's a bit hard to photograph because of the arsenopyrite and also because of the three-dimensionality of the piece, though the sharpness and distinct nature of the species and crystals present is much better in person. 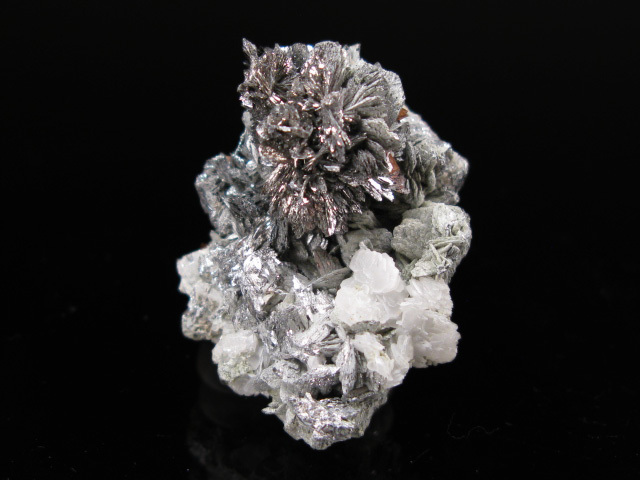 A very sculptural example of the classic copper after aragonite pseudomorphs from Bolivia. 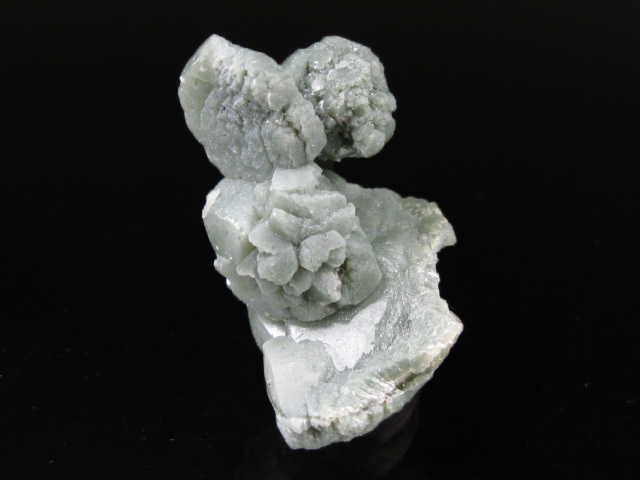 This one combines two stacked balls (they are usually just lone orbs) composed of numerous tabular, hexagonal aragonite crystals that have pseudomorphed to copper. 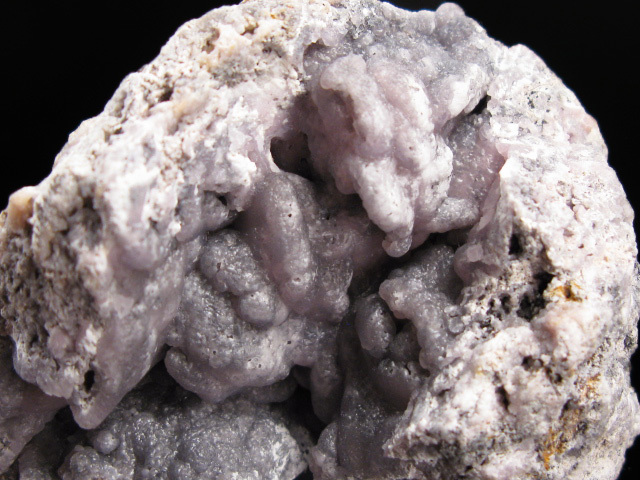 In some spots, you can even see some of the aragonite still present. 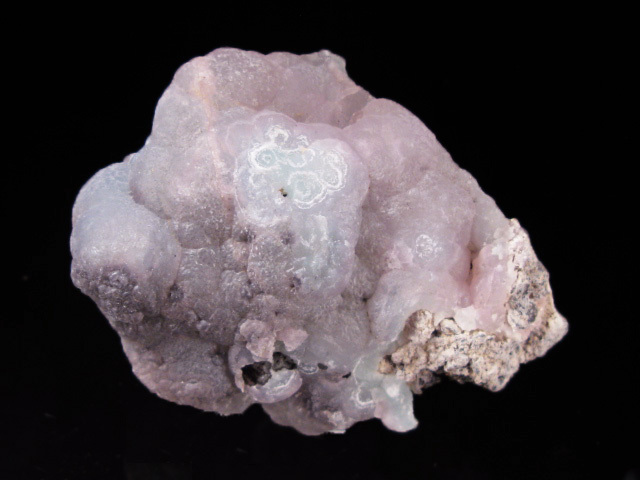 A beautiful, ball-shaped cluster of creedite crystals from Mexico. I purchased a large quantity of these from a wholesaler, this was probably one of my favorites from the lot. 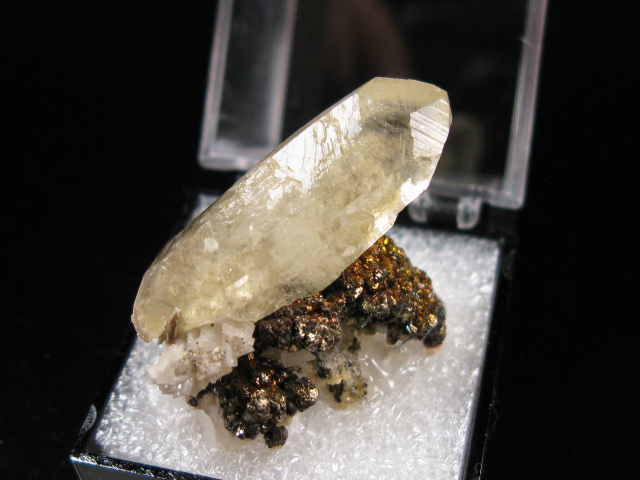 As an example of how ridiculous mineral prices have gotten, I saw a slightly better (but not remarkably so) example off this material just posted for over $700 on another site..... this, I think, is closer to the fair value. 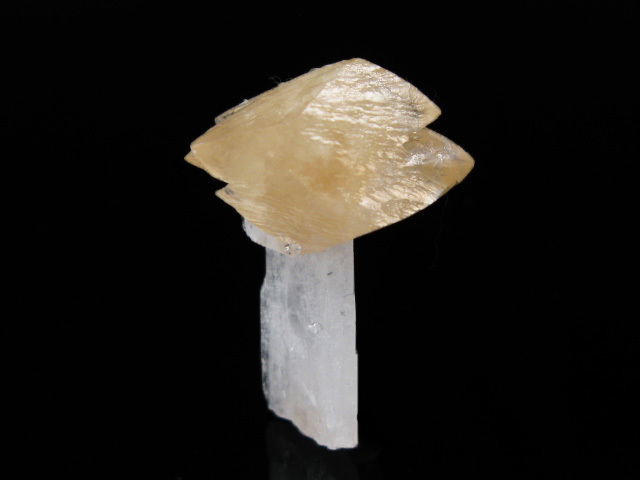 A beautiful example of quartz from Inner Mongolia, consisting of a cluster of crystals displaying the complex lateral faces that quartz from this mine is known for. 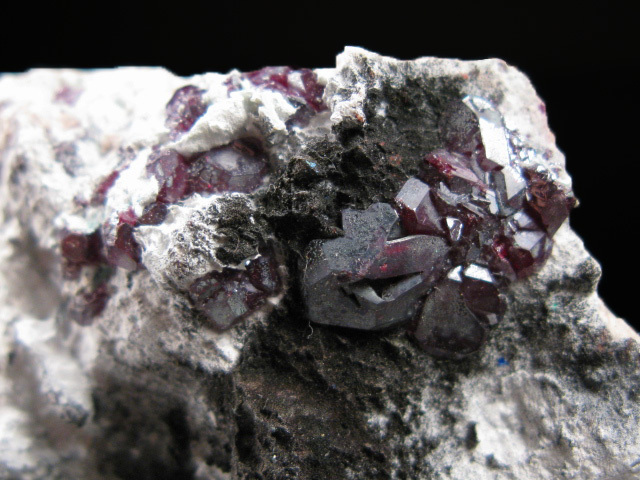 A nice reference sample of cuprite from the now-famous Milpillas Mine, known best for its spectacular azurites. 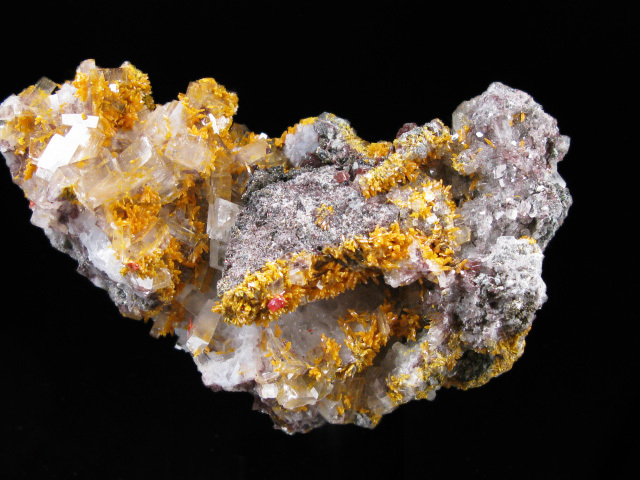 A beautiful example of orange orpiment with minor barite, from finds made several years ago at the Quiruvilca Mine, in Peru. 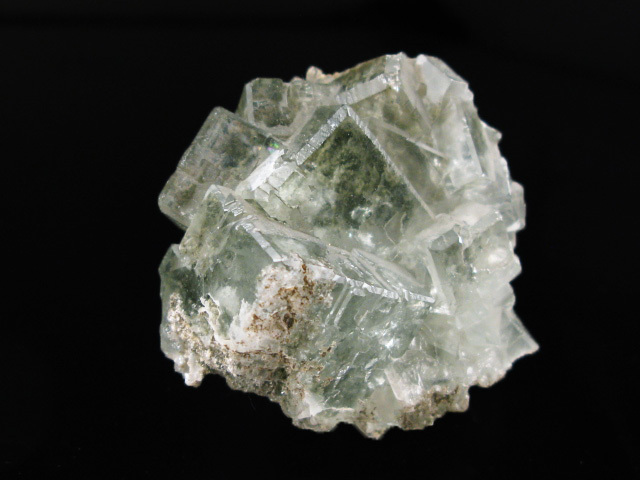 A beautiful example of lollingite, consisting of a very sharp cluster of small, well defined crystals. 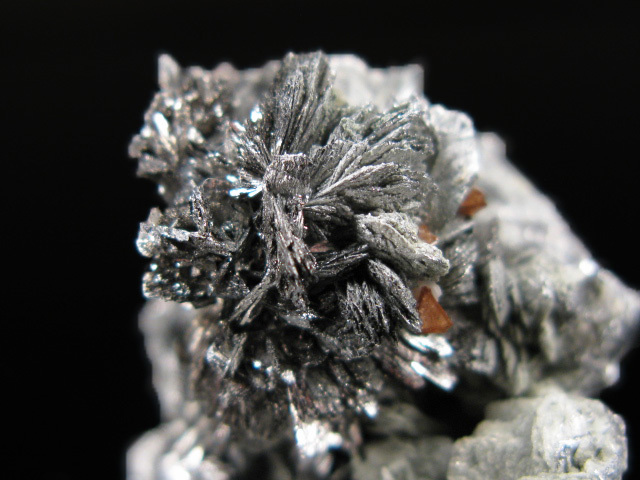 I feel like good miniatures of this mineral without the usual arsenopyrite association are actually harder to find than larger sheaves. 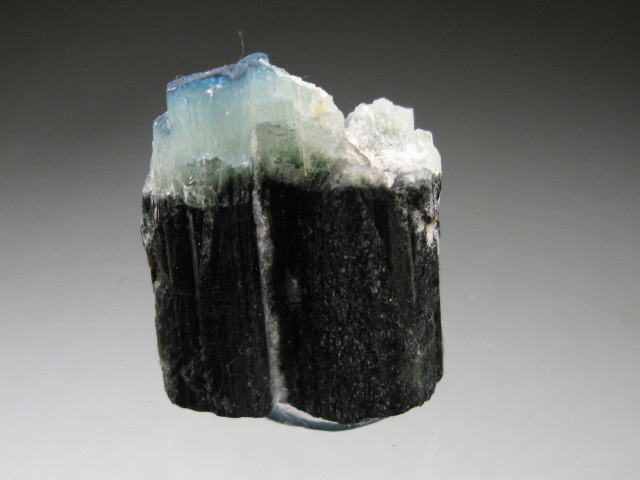 A great reference example of this rare borate mineral, from the discovery that has arguably produced the best examples ever found. There is a bit of bruising, but it is an excellent reference piece for the price! 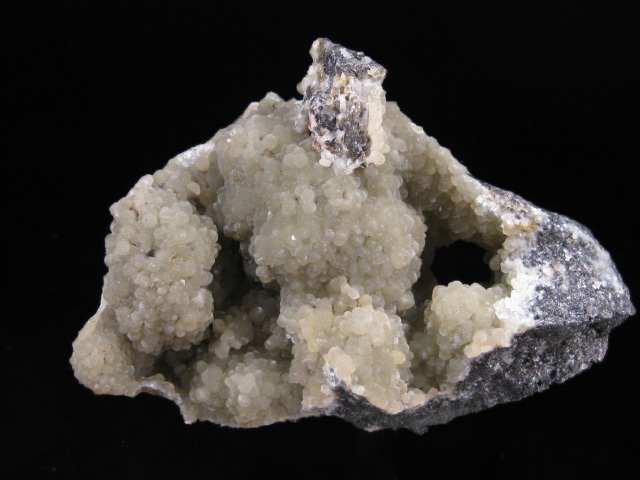 A nice example of rare olshanskyite from a recent find in Inner Mongolia. 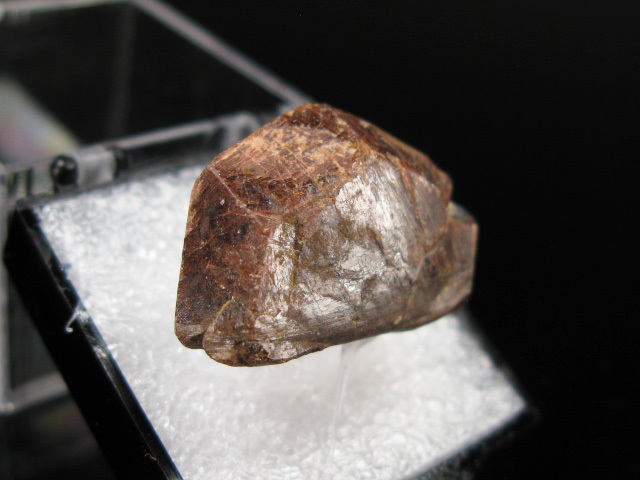 To put into perspective how significant this find is for the species, the last time this mineral was available to collectors was as an association with henmilite, from a Japanese find made around 2004. 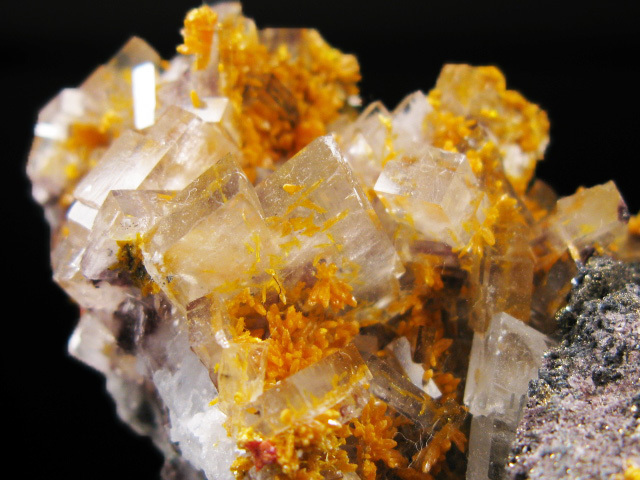 On those pieces, the olshanskyite occurred as microscopic crystals-- this is actually a cluster of clearly visible crystals. 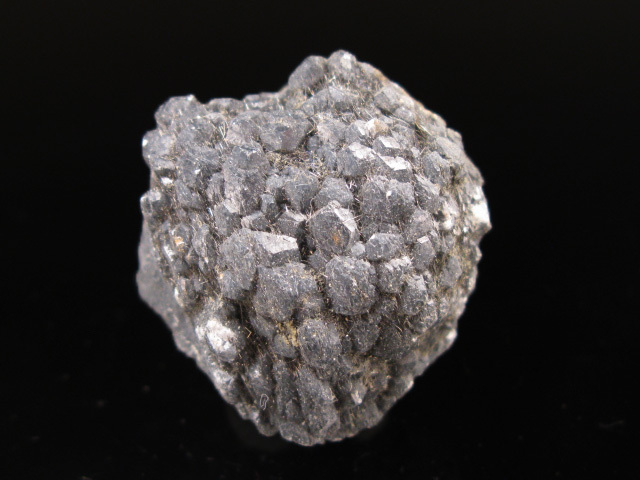 A ball-shaped aggregate of calcite crystals, colored black by boulangerite inclusions. 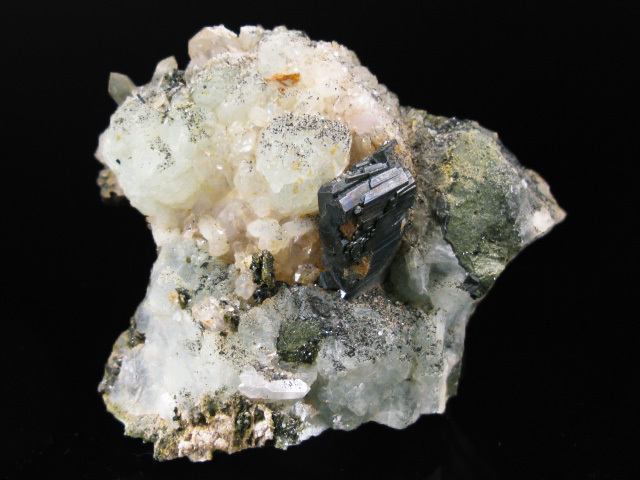 There is also some boulangerite present on the surface of the specimen. It is very reminiscent of the old material from Herja, Romania. Recently found material. 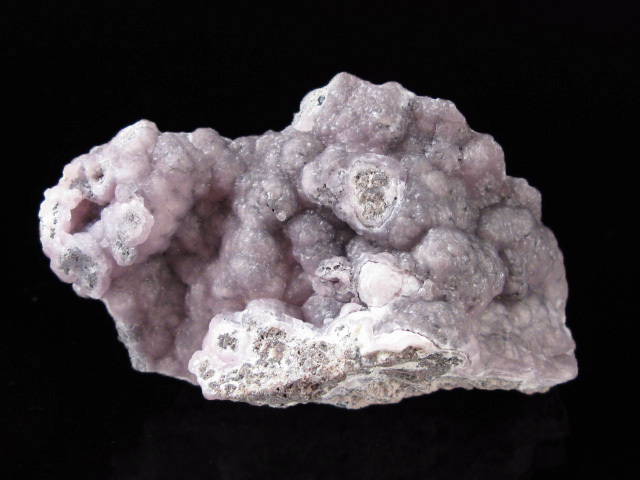 A nice example of pinkish purple smithsonite, from finds made several years ago at the El Refugio Mine. These were once quite common, but there has been no new material since production ceased several years ago. 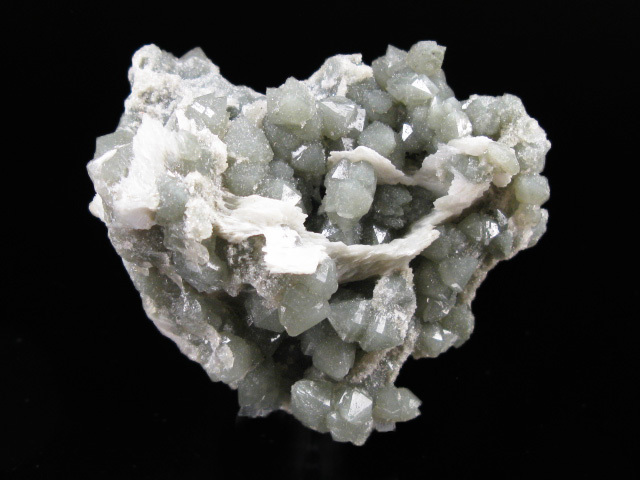 A nice example of crystalized smithsonite from recent finds at Santa Eualia. 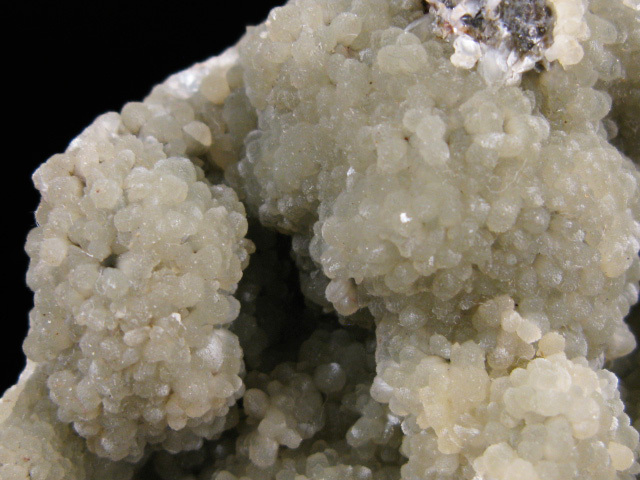 Unlike most other Mexican smithsonites found in recent years, these actually show a degree crystallization, with numerous "rice grain" like crystals visible. 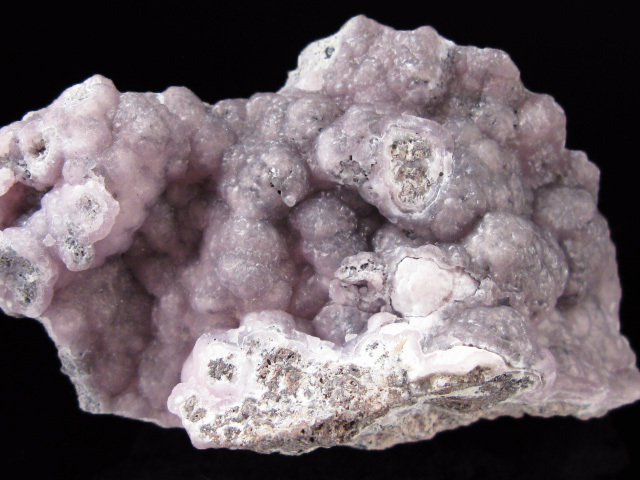 A nice example of purplish pink smithsonite from Choix. Years ago these were quite common, but production halted several years ago and they have since become somewhat harder to find. 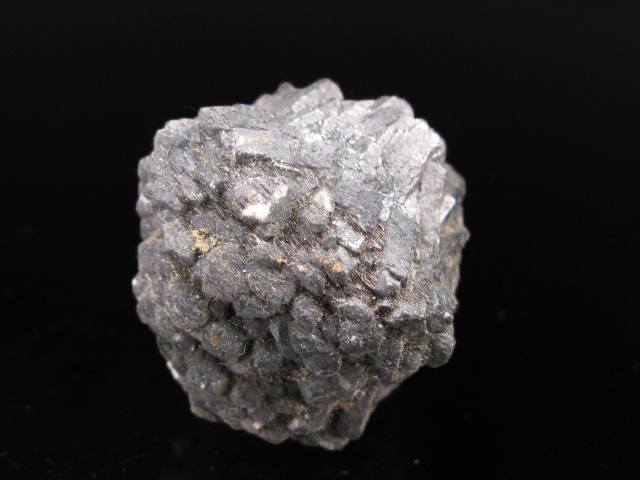 A decently sized, partial magnetite octahedron from Tanzania. Unusual material and a good reference piece of the species, which despite being rather common is rarely seen from Africa in general. 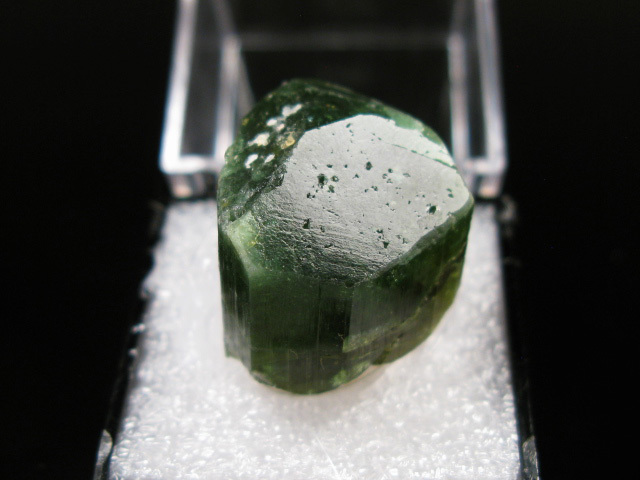 A good reference example of green grossular garnet from the Merelani area. 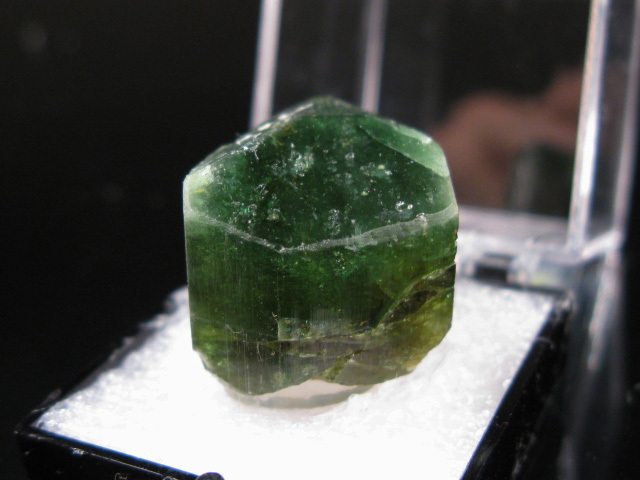 This is the same area that produces much of the famous tsavorite (green grossular with a bit more color saturation.) 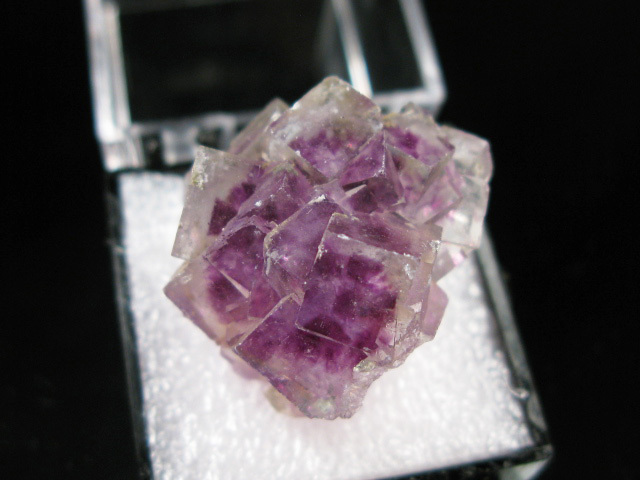 This piece has a decently sized crystal and shows good crystal structure, though because this isn't quite gemmy is priced rather cheaply. 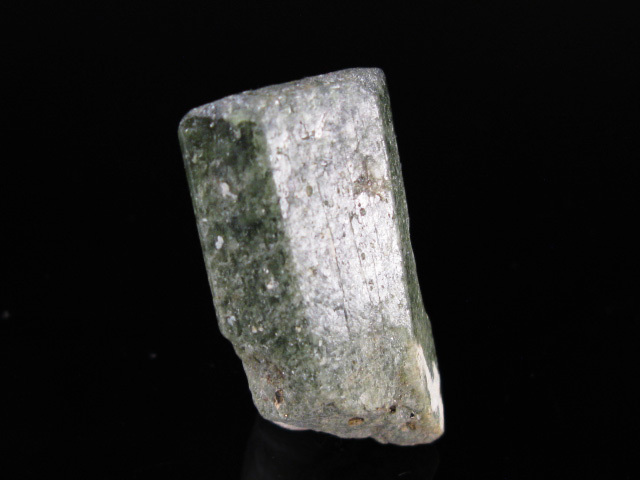 A blocky, terminated, green diopside crystal from an unusual locality. 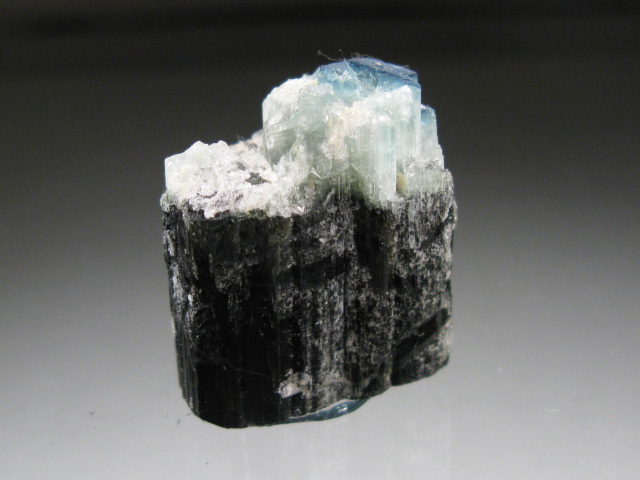 A nice example of lazurite from Sar-e-Sang. The mines at Sar-e-Sang have been producing for over 6,000 years. They supplied the lapis that adorns King Tutankhamen’s famous burial mask, as well as various Greek and Roman artifacts. 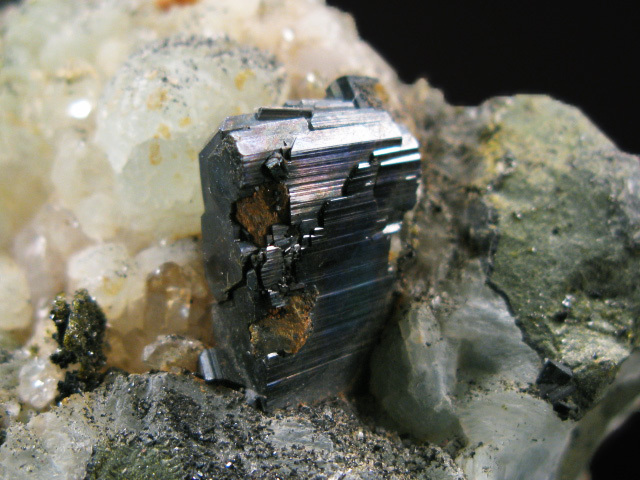 Although a lot of lapidary grade lazurite now comes from Chile, crystals of this size and quality have only come from Afghanistan. There are saw marks, but it's a good reference for the price. 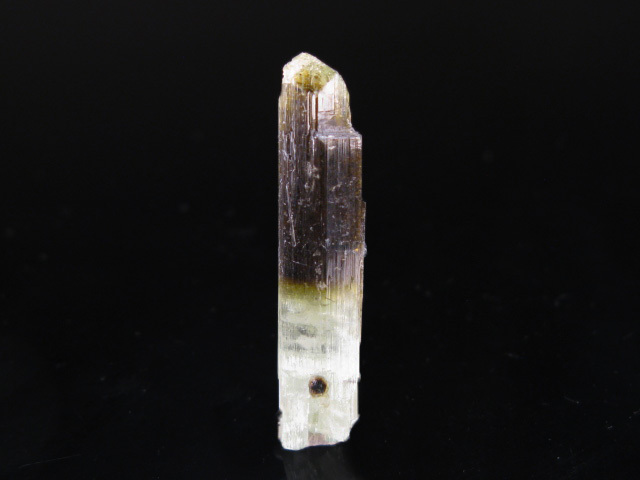 A partially terminated bicolored dravite crystal from recent finds in Tanzania. 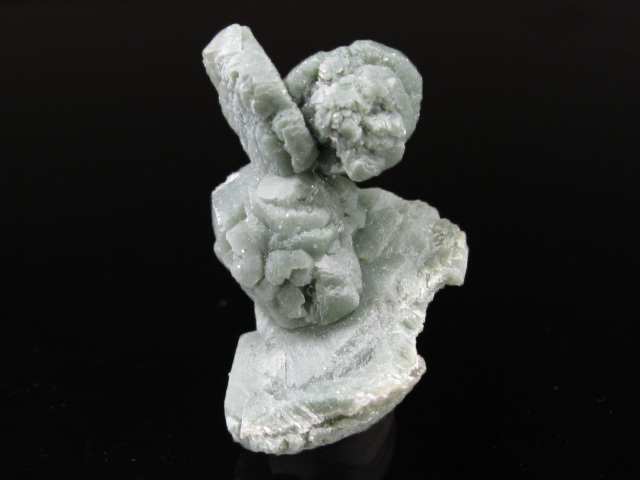 A nice, thumbnail sized example of green cuproadamite from Mexico. These are somewhat harder too ind than the more common yellow adamites that the mine also produces. 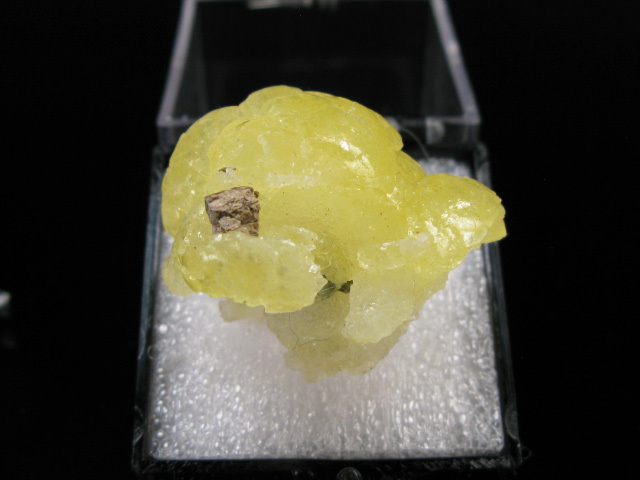 A beautiful, saturated yellow example of brucite from recent finds in southwestern Pakistan. These are arguably the best examples ever found, and this is a particularly nice thumbnail. They are somewhat plentiful a the moment, so even good pieces like this are quite affordable.... for now. 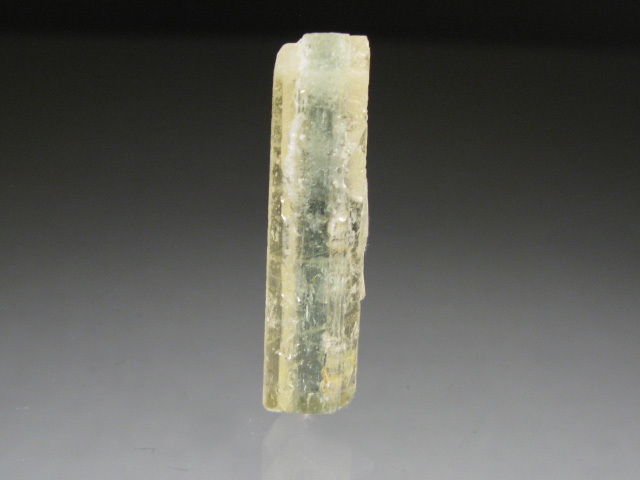 A rare thumbnail sized specimen of aquamarine from Huanggang. 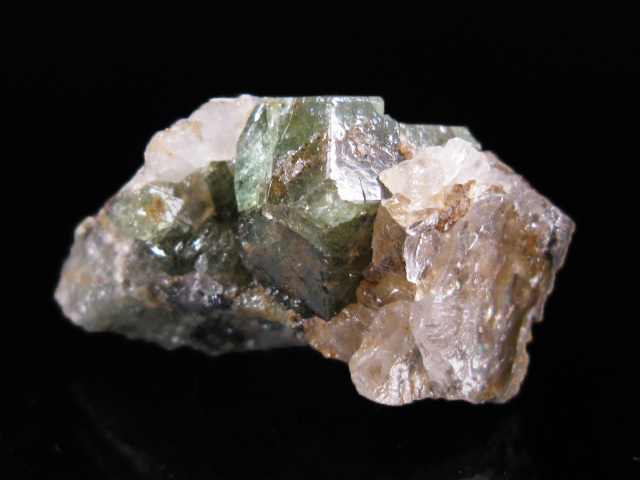 Aquamarines were one of the surprises form the early days of mining; these were found around 8 years ago shortly after specimens first began to hit the market. The Huanggang mines exploit a skarn, though one of the mines in the cluster cut through a small pegmatite, which is where these were found. Nearly all examples occurred as single crystals, there were only a very small number of clusters found early on-- this "cluster" only has 2 crystals, but I still think it makes it somewhat more interesting than the usual single crystals-- and what's more, it actually fits in a thumbnail box. A beautiful thumbnail sized example of azurite from the Milpillas Mine. No damage. Priced at $160 in my show stock. 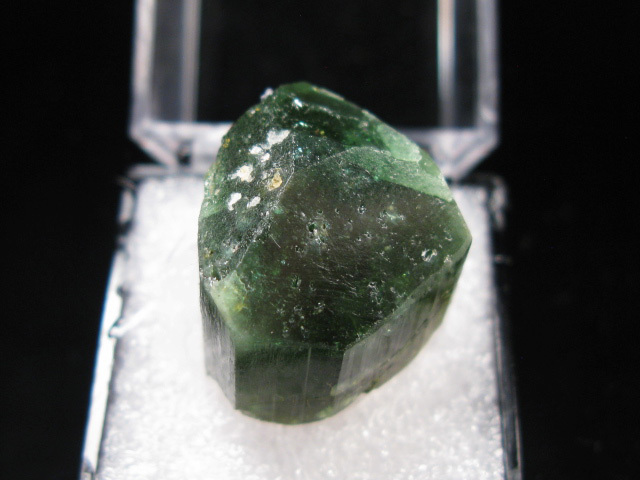 A nice example of green vanadium dravite from finds made within the last year in Tanzania. Not perfect, but a good reference example for the price. 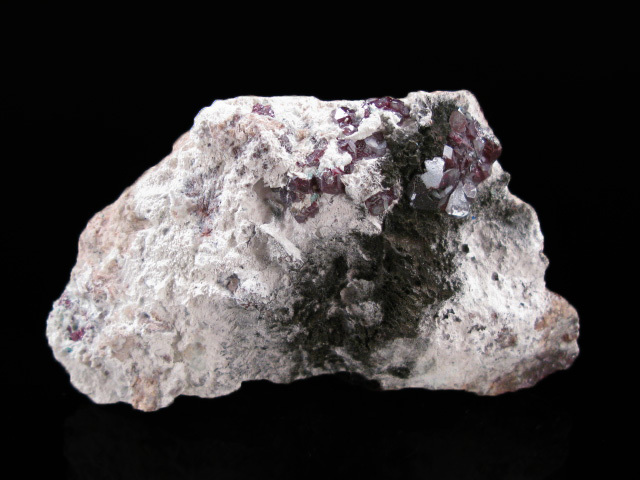 A nice example of columbite from around Mahazia, a lot of this material is found as worn alluvial gravel, though miners do occasionally dig the directly out of the surrounding pegmatites. This is a great thumbnail showing the typical habit for the locality. 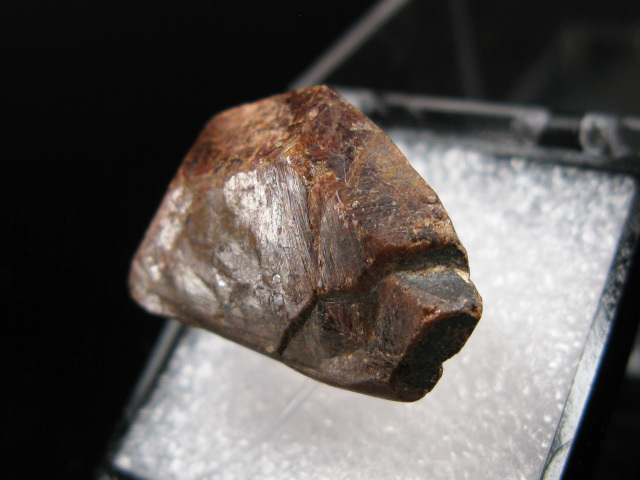 An excellent, complete and rather sharp monazite crystal from Madagascar. If you are a researcher looking for more of this material, I do have more so please send an e-mail. 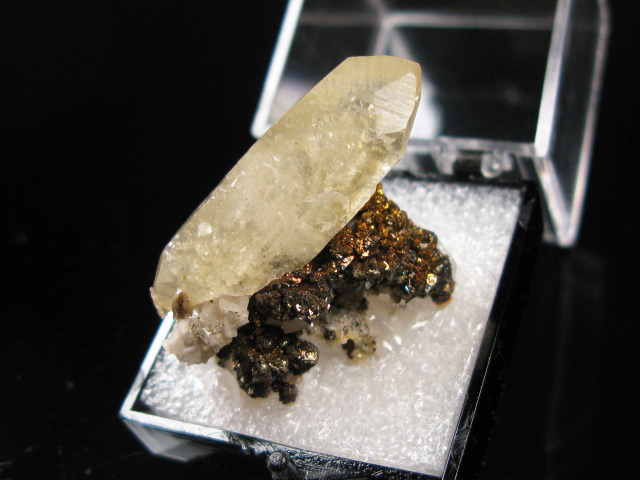 A beautiful thumbnail sized example of calcite with chalcopyrite, from the Viburnum trend mining area. Quite sharp and lustrous. 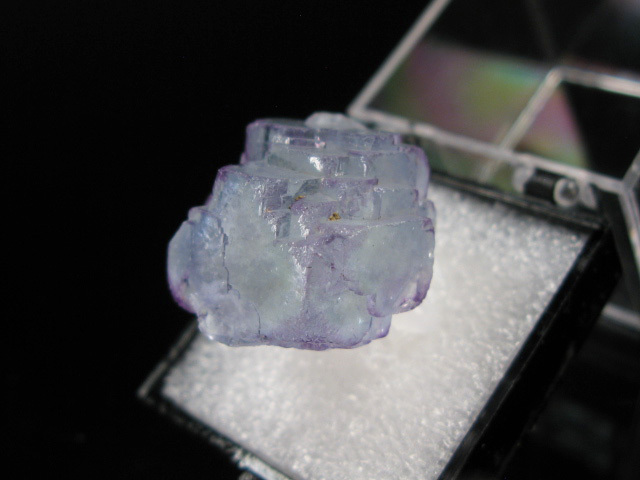 A beautiful thumbnail sized crystal of blue and purple fluorite from the Yaogangxian Mine. 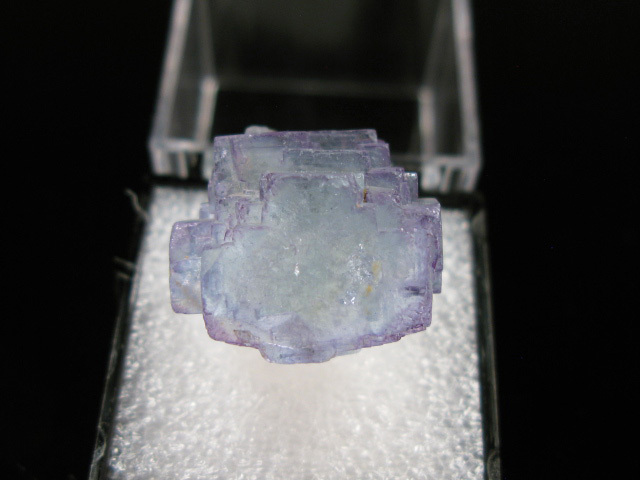 You don't often see nice thumbnail sized examples of Chinese fluorite, they tend to be larger plates. 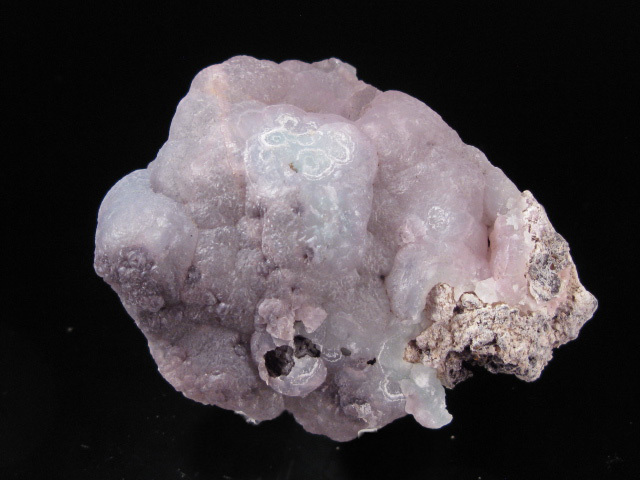 A nice example of the classic coper after aragonite pseudomorphs from Bolivia, this one is a ball shaped aggregate of tabular, hexagonal aragonite crystals that have pseudomorphed to copper. 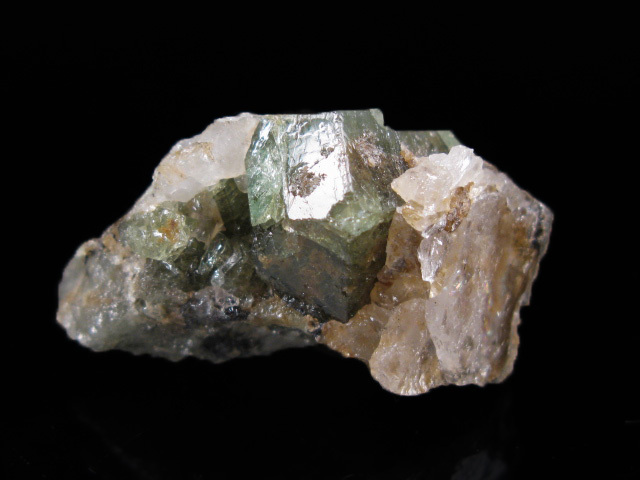 A nice thumbnail sized example of fluorite from recent finds in Inner Mongolia. 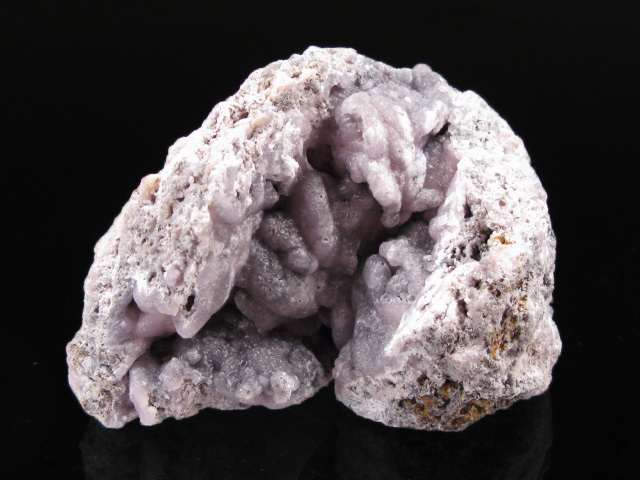 This one consists of a cluster of tightly packed cubic crystals with purple cores and colorless outer regions. 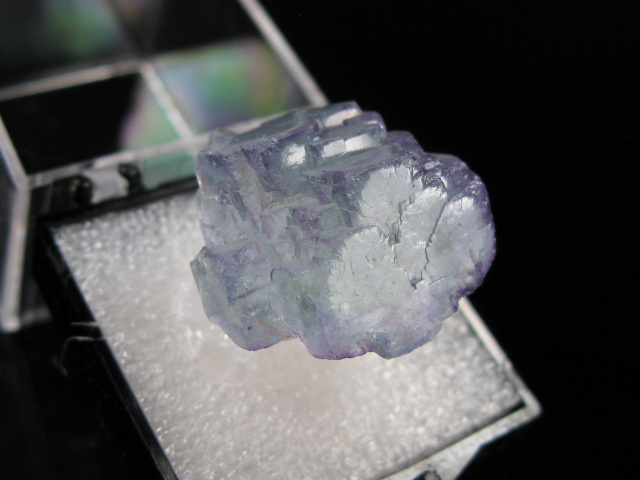 You don't often see thumbnail sized Chinese fluorites, they tend to be larger plates. 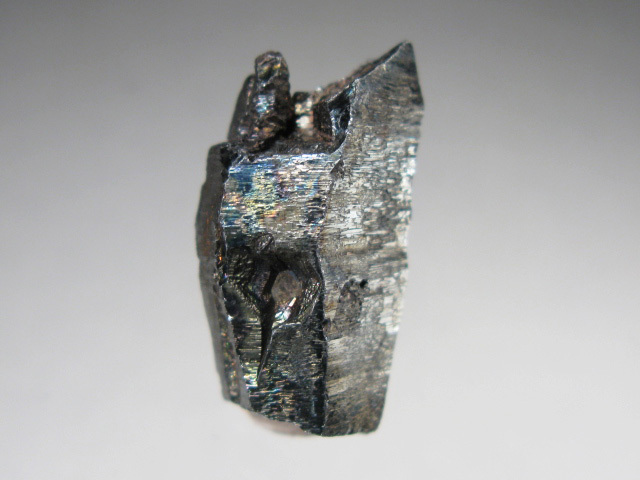 A rare example of native bismuth, this one a vein of the native metal running through a rock matrix. 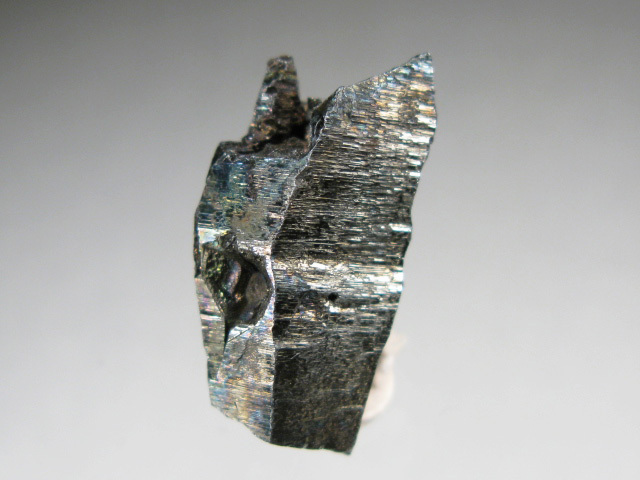 Most of the time, bismuth specimens from Bolivia occur as suggests of the native metal found in rivers-- non-alluvial examples such as this are more scarce. 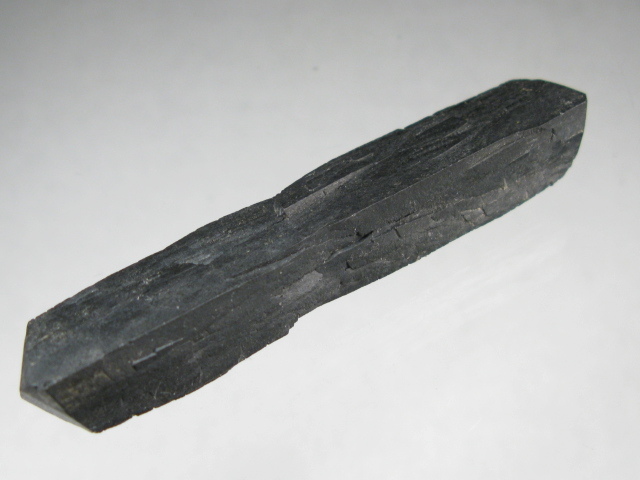 An unusually elongated crystal section of hematite, from an even more unusual location: an island off the coast of Iran, in the Straight of Homuz, at the mouth of the Persian Gulf. Not terminated, but a decent reference. 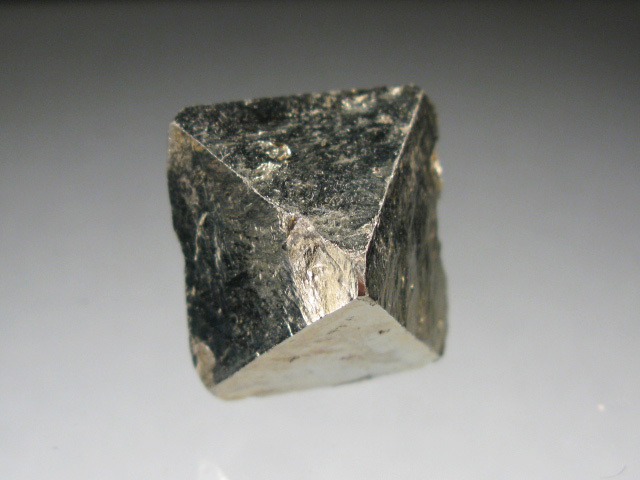 Plus, as common as the species is, it's not often that you see this sort of prismatic crystallization from hematite. 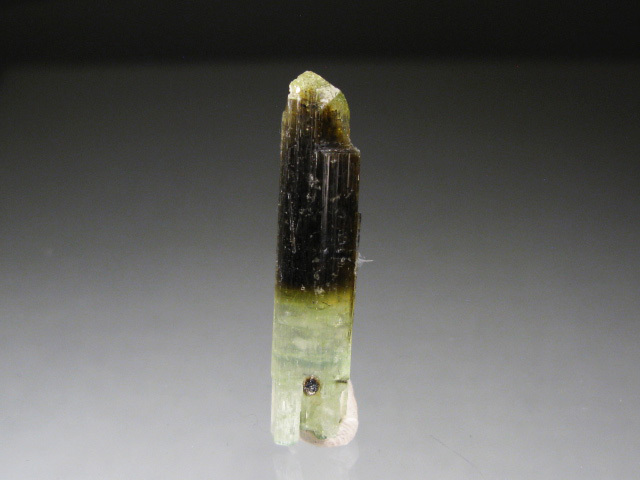 A reference sample of dravite tourmaline from finds made a little over a year ago in Tanzania. 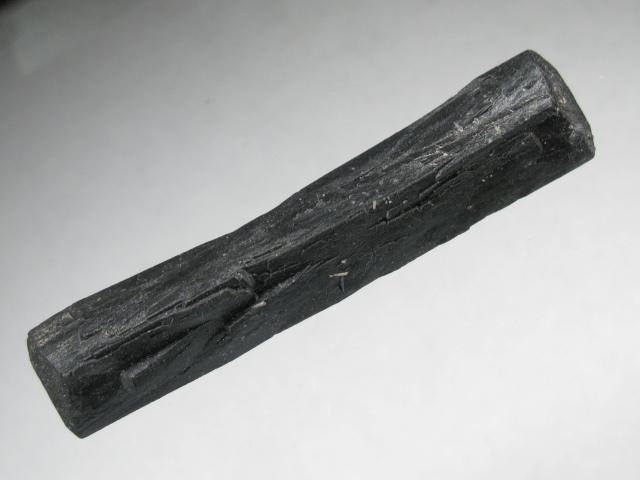 This piece has a partial, etched termination, but still displays some of the blue cap that examples from this discovery were notable for. A decent reference of the price. 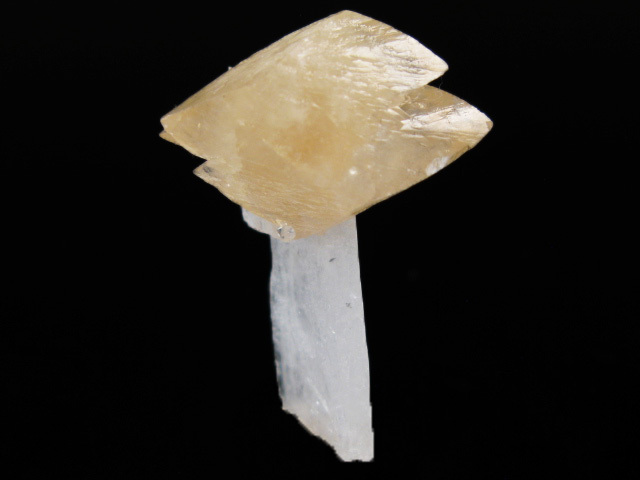 A beautiful example of hubnerite crystals associated with quartz points, from finds made a few years back at this classic Peruvian locality. 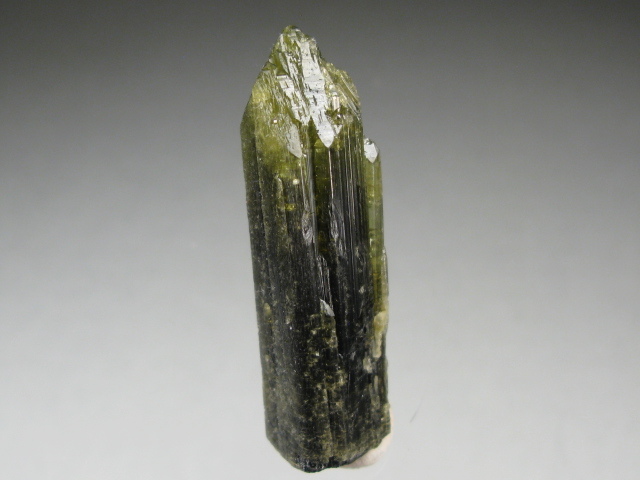 An exceptionally rich example of wavellite form Arkansas. 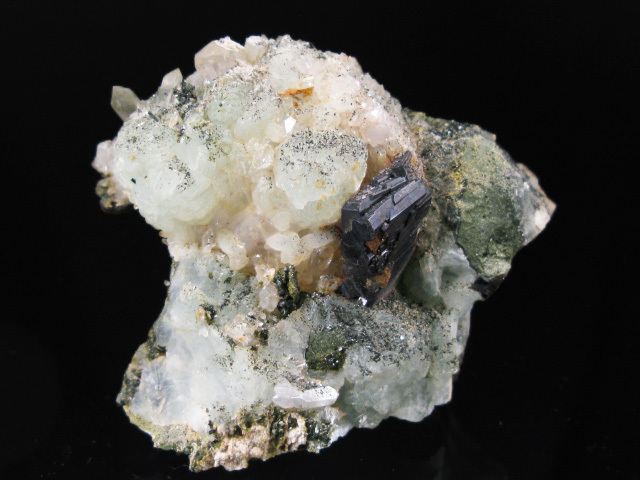 A nice example of elongated bipyramidal wulfenite crystals with botryoidal green mimetite, from recent finds at the Ojuela Mine. 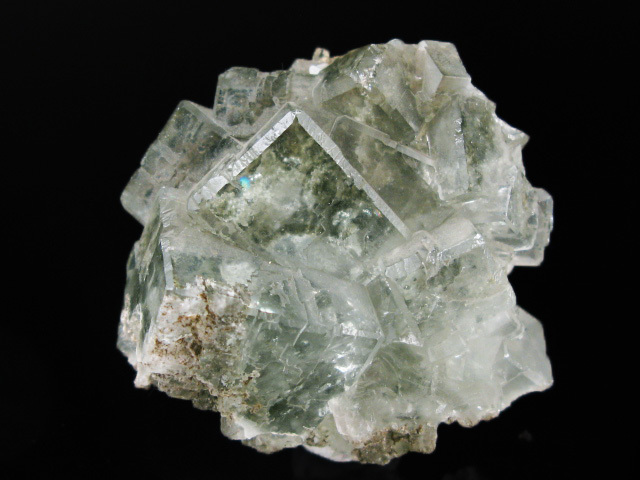 A beautiful example of the ultra-transparent green fluorite habit that this area is best known for. 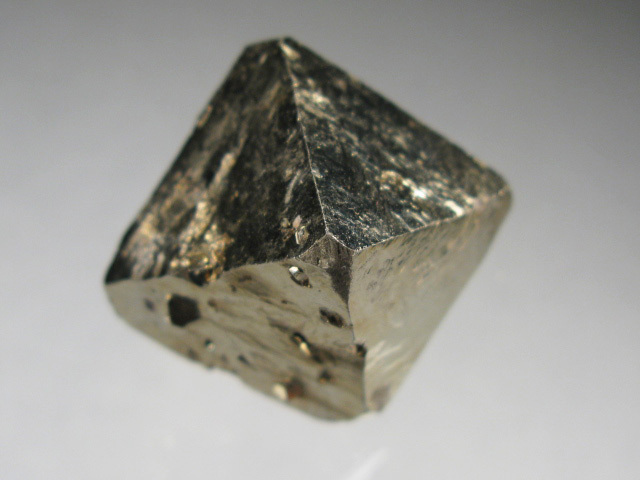 A beautiful example of cubic pyrite associated with sphalerite and quartz, from the major pocket hit abou 3 years ago. 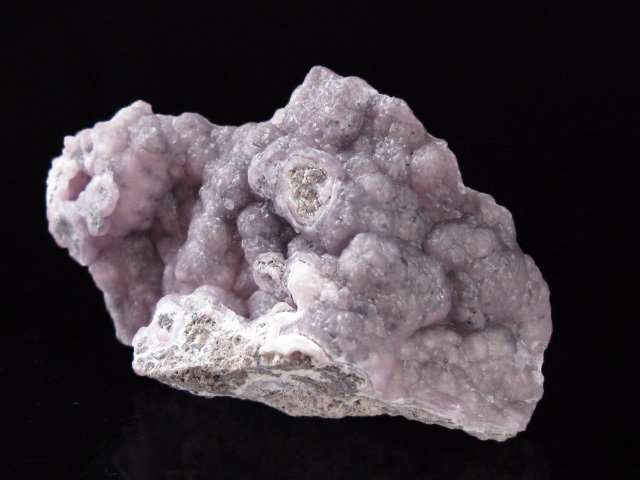 This is perhaps one of the most prolific specimen producing localities in the world, and examples from this mine can be found everywhere from small gift shops to museums. Combination specimens like this however, are extremely rare-- and were virtually unavailable prior to this discovery. 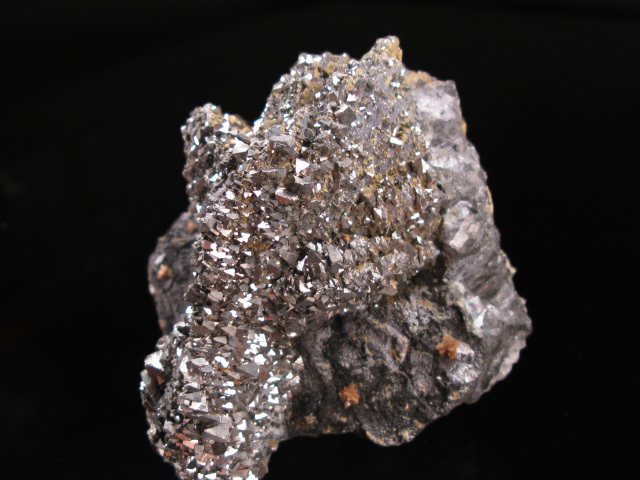 The luster on the pyrite crystals is also exceptional. 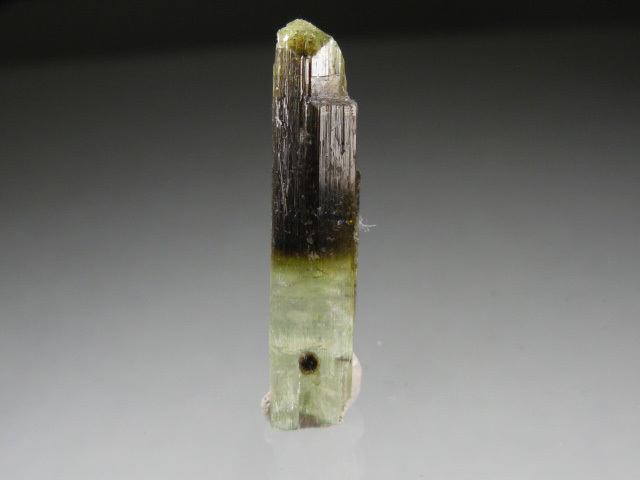 A great example of rare black babingtonite, with green prehnite and quartz, from finds made years ago in southwestern China. 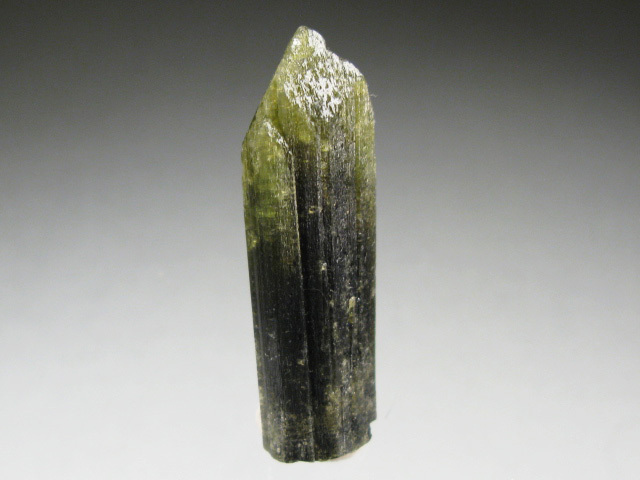 This one features a nicely positioned, sharp and well isolated crystal. 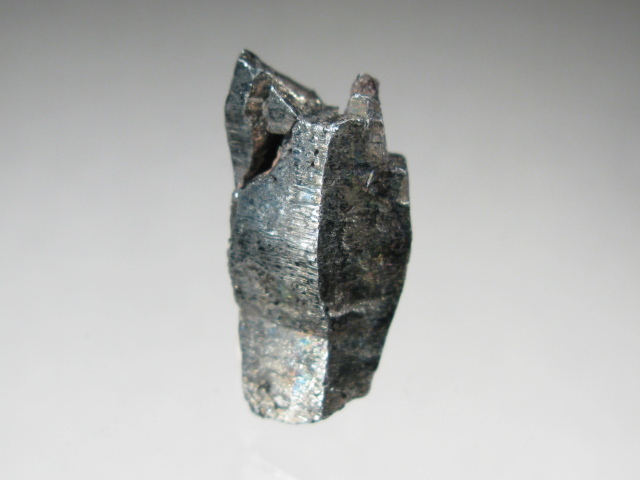 Babingtonite is a rare iron, calcium bearing sillicate that in recent years has been found as specimens in New Jersey, China, and in small quantities in India. 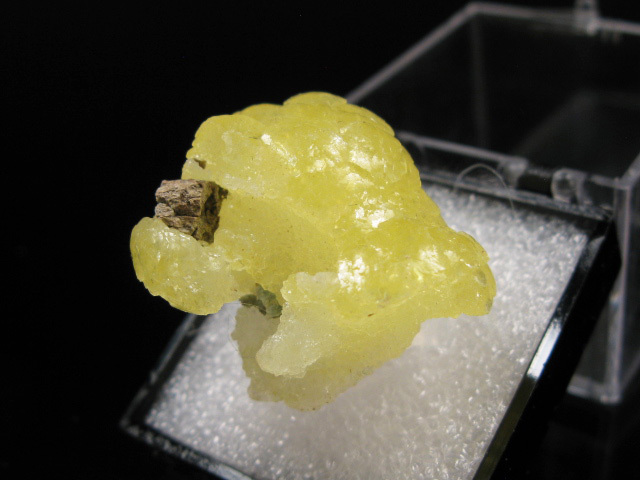 A good cabinet sized example of plumbogummite that has pseudomorphed pyromorphite. 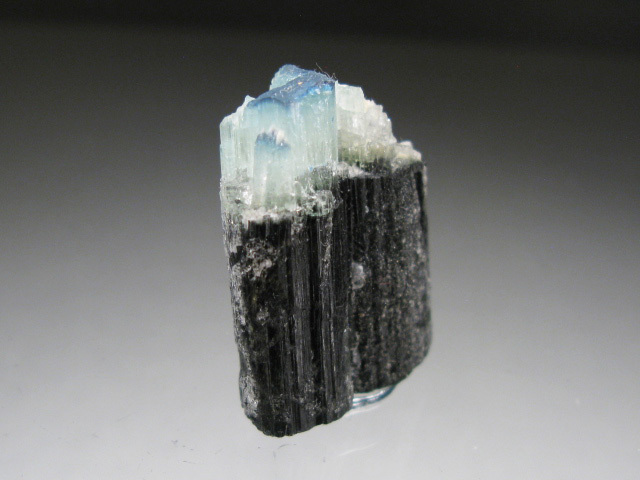 There are crystals scattered around on all sides of the specimen. 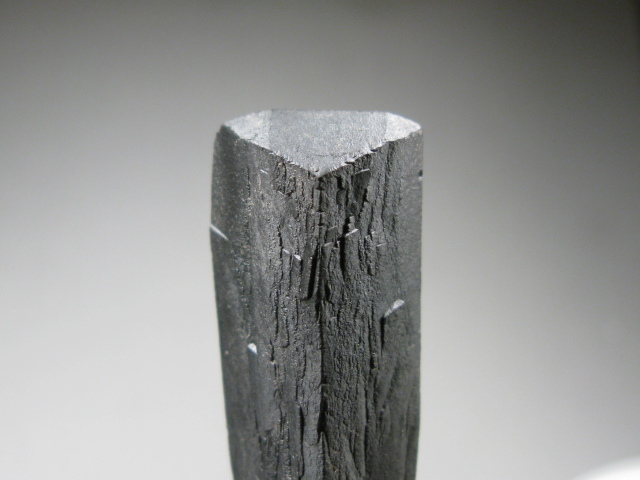 These retain a good amount of sharpness, compared to the larger, more melted looking examples. 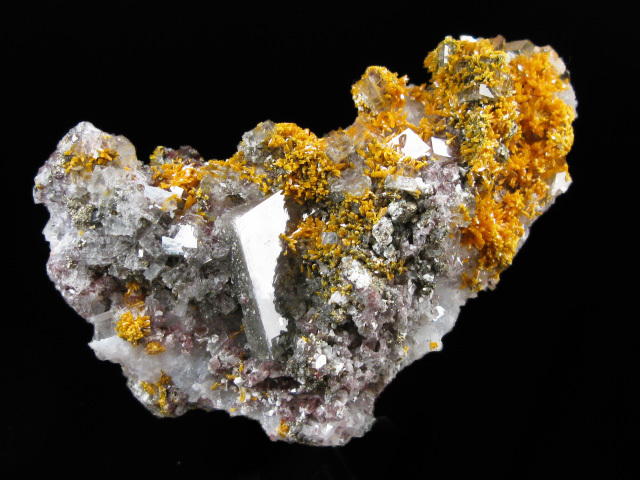 A nice sample of barite rhombs with orange orpiment from finds made several years back at the Quiruvilca Mine.